A knife that tries to do more than cut things often ends up being a master of none. 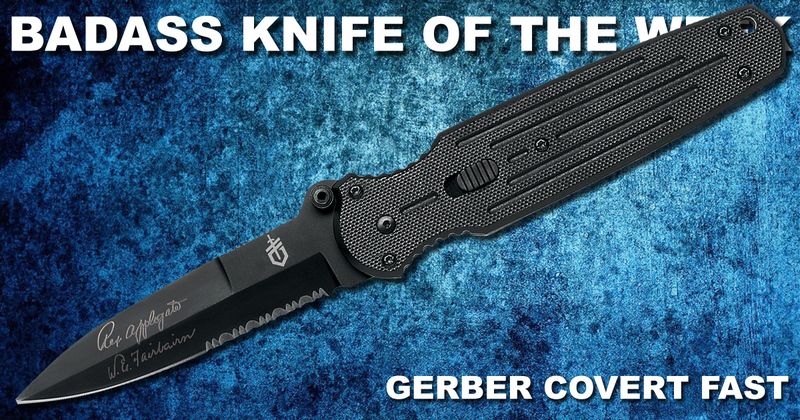 However, the latest Badass Knife of the Week proves a knife can serve multiple functions without sacrificing its core purpose. The Kershaw Shuffle is a compact, versatile, and inexpensive folding knife with a few bonus tools that integrate seamlessly into the overall design. The 2.4-inch blade is the highlight of the knife. Featuring 8Cr13MoV steel with a bead-blasted finish, the blade opens up manually with dual thumb studs and stays engaged with a liner lock. A swedge on top of the blade helps increase its penetrating and slicing capabilities while the finger choil gives this small knife a more secure grip in hand. The Victorinox Swiss Champ is the flagship Swiss Army Knife that packs nearly every useful function possible into a tool you can still feel comfortable carrying around. So what’s the only way you can make the Swiss Champ better? Making it more compact. 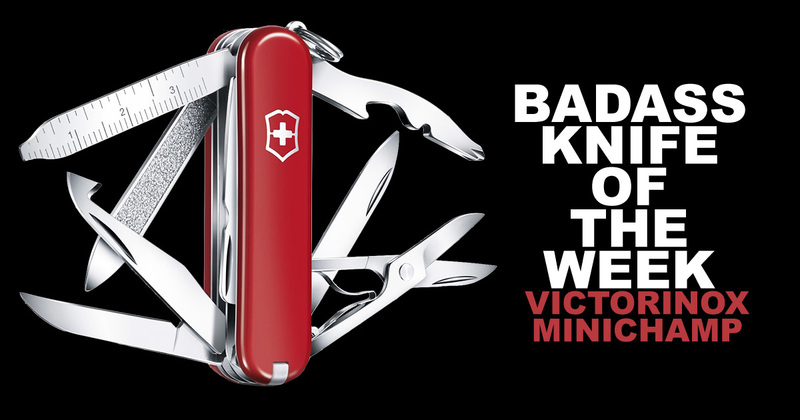 Boasting the same length as the Victorinox Classic, the MiniChamp features 18 functions in a 2.3-inch body. What makes this knife so special is that it contains every single bladed tool available to the knives in this size as well as a few tools that are exclusive to the MiniChamp. 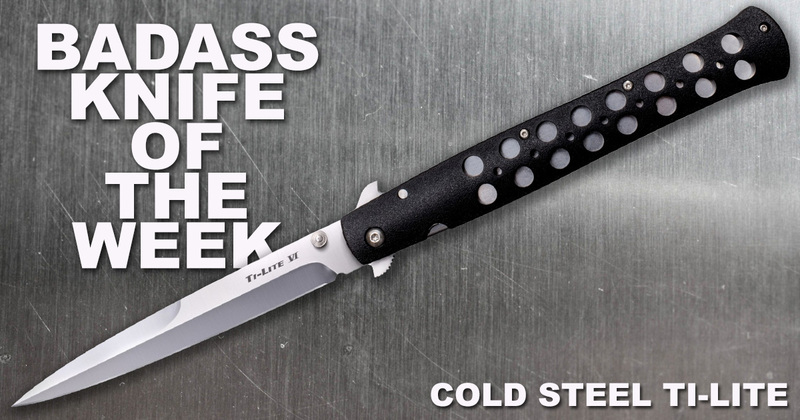 If you think you can’t get a good American-made knife that uses solid materials without breaking the bank, you may have missed our latest Badass Knife of the Week when it first came out. 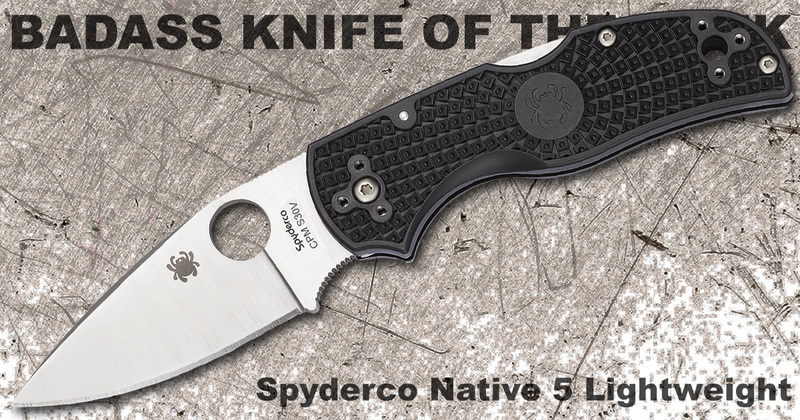 The Spyderco Native 5 Lightweight is a stripped down version of the classic Spyderco Native that doesn’t sacrifice on blade steel or construction. It starts with the 2.95-inch blade with a full flat grind and S30V steel — recently changed from S35VN. The blade is a straightforward design with chamfering that makes holding and using this folder comfortable. This knife is meant to be used on the job. A finger choil allows the user to choke up on the blade for finer tasks without abandoning the classic grip. Unlike previous iterations of the knife, the knife uses black FRN handle scales without liners. These scales not only provide extra grip with the Bi-Directional Texturing that keeps the knife in your hand no matter how slippery things get but it also shaves off weight. It’s pretty rare to have a blade shape on a knife that bucks the trend of drop point or clip point profiles. But that’s what you get with the latest Badass Knife of the Week. 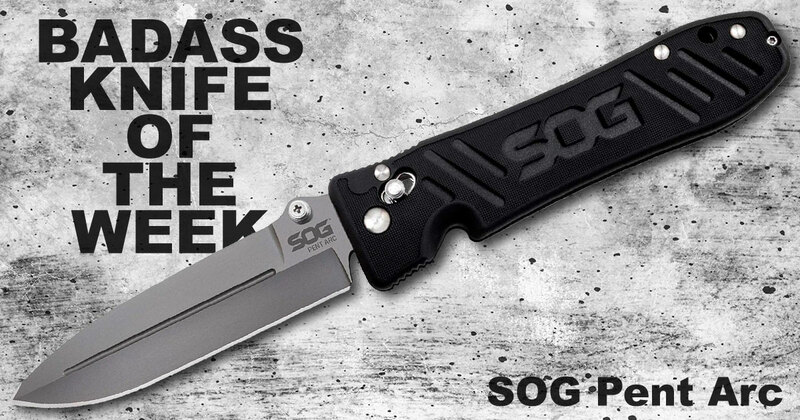 The SOG Pent Arc is a modern folding knife with a blade inspired by the spear point profiles of the past. This knife is built with a purpose. It is designed to be used by military and law enforcement for defensive carry in hostile or unknown situations. The 4-inch bead-blasted blade is made from VG-10 stainless steel, an alloy that can be sharpened to a keen edge without becoming brittle. A fuller or blood groove down the middle of either side of the blade completes the look of a classic dagger while helping reduce the overall weight of the knife and increasing its intimidation factor. Many fixed blades rely on gimmicks or unnecessary selling points. 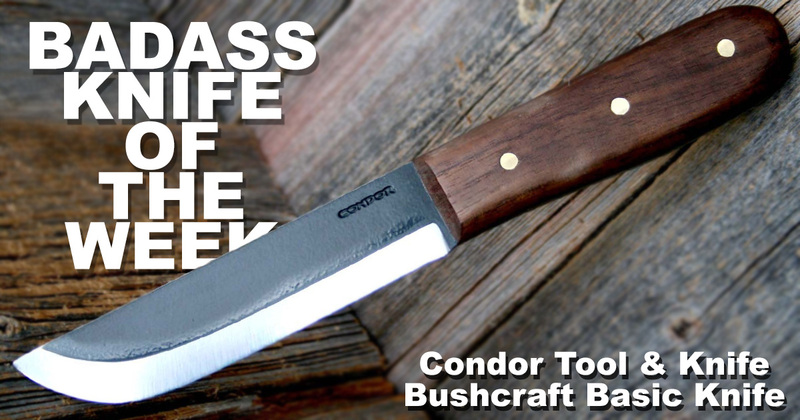 Fortunately, there are still knives like the Badass Knife of the Week out there. 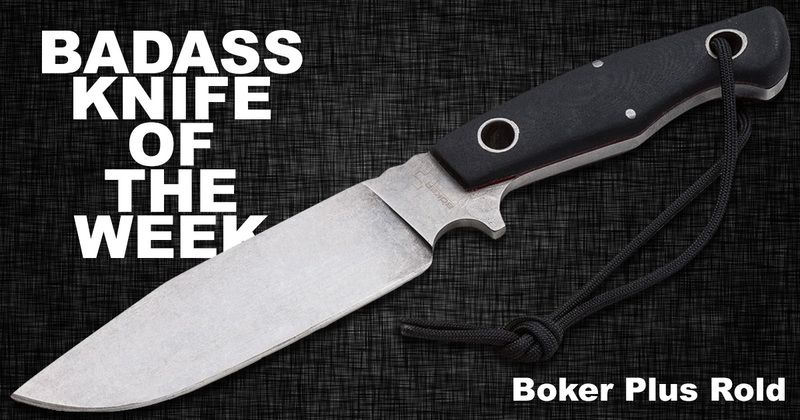 It’s very challenging to make a small knife that feels big when you hold it, but that’s precisely what our latest Badass Knife of the Week achieves. 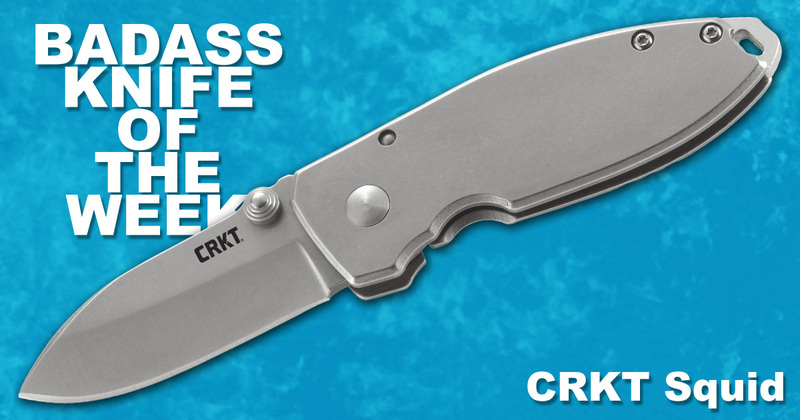 The CRKT is a small and inexpensive knife with a big design that’s made to be put to work. Designed by knifemaker Lucas Burnley, the Squid is inspired by the concept of a compact pistol — a device you can carry easily but also packs a big punch. It starts with the 2.15-inch drop point blade. The steel is functional 8Cr13MoV stainless steel, an alloy that won’t win awards but will sharpen easily and get the job done. The stonewashed blade itself is well-balanced and features dual thumb studs that facilitate a smooth opening. With all the new fangled knife designs these days, it’s hard to keep track of what trends are in and what trends are out. 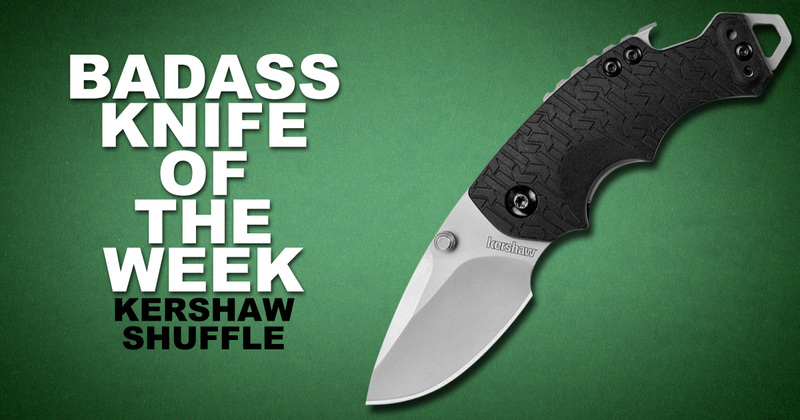 If you’re tired of following the fads, it’s time to stick with a design that’s tried and true like our latest Badass Knife of the Week. 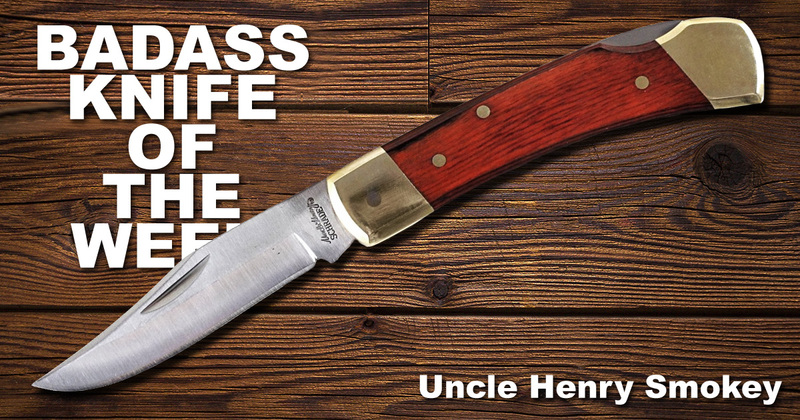 The design of the Uncle Henry LB5 Smokey folder first appeared in 1981 as a simple folder that carried the same class and functionality as knives from the 1800s.